For years, I've had "Eldarion" in the back of my mind as a name I'd like to use for some creative endeavour. It is a reference to Tolkien: Eldarion was the son of Aragorn and Arwen and the Second High King of the Reunited Kingdom. Much to my surprise, the domain was available when I checked back in 2002, so I registered it immediately. At first I thought I'd use the name for my film and music endeavours. When I attended SXSW Film and Music in 2005, I actually had business cards printed that said "Eldarion". They were black cards with white writing, a reference to the Gondorian flag. I planned a logo that would feature the White Tree of Gondor and the seven stars of the House of Elendil but never had the skill to pull it off. He blew me away with the result and the response has been phenomenal. It may strike some as unusual to choose a fantasy reference for a high-tech startup. But I'm reminded of a wonderful scene in the British comedy Yes Prime Minister where the PM is advised that if his first television broadcast is to say nothing new and exciting then he should wear a modern suit, the background should feature abstract paintings and the opening music should be Stravinsky. On the other hand, if the broadcast is to contain radical new announcements, then he should wear a dark suit, the background should feature oak paneling, leather volumes and 18th century portraits and the opening music should be Bach. The same idea applies, I think, to choosing ancient symbols from the legendarium of Tolkien for what is intended to be a very modern and forward thinking new company. 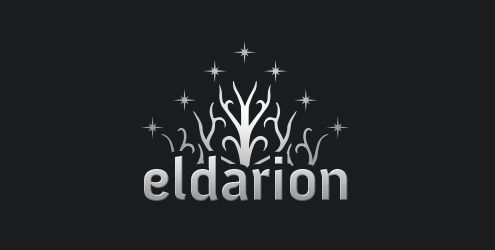 Stay tuned for lots more about Eldarion.